Not Equal Launch Event London 29th January – Not-Equal | Join Network+ | Social Justice through the Digital Economy. Digital innovation is transforming the service economy and public services in significant ways. If harnessed to the wrong economic and socio-political model, technological innovation has the potential to be detrimental to the most vulnerable and reinforce inequality. 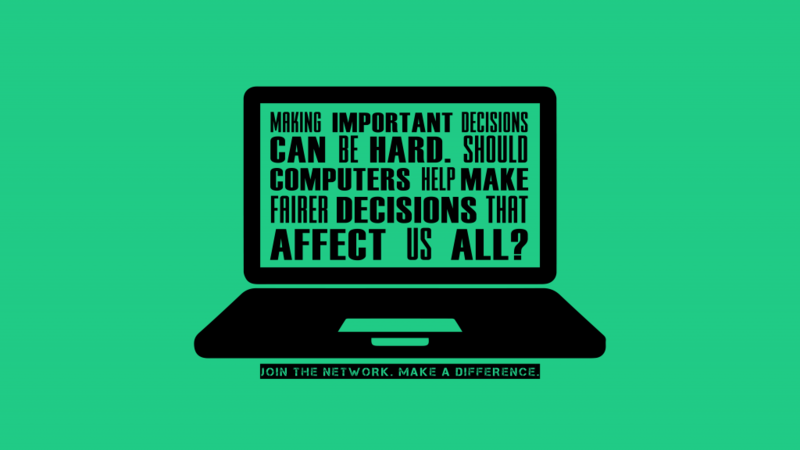 Not-Equal, the EPSRC Network+ on Social Justice through the Digital Economy, hopes to create the conditions for technologies to support social justice by building a network of interest and resource collaborations between researchers, industry, civic and civil society. Not-Equal explores the challenges posed by the data and platform economy, the digitization of services through a programme of activities, including commissioning research to develop innovative and practical responses to issues of social justice in technologies’ design and their application in everyday life. 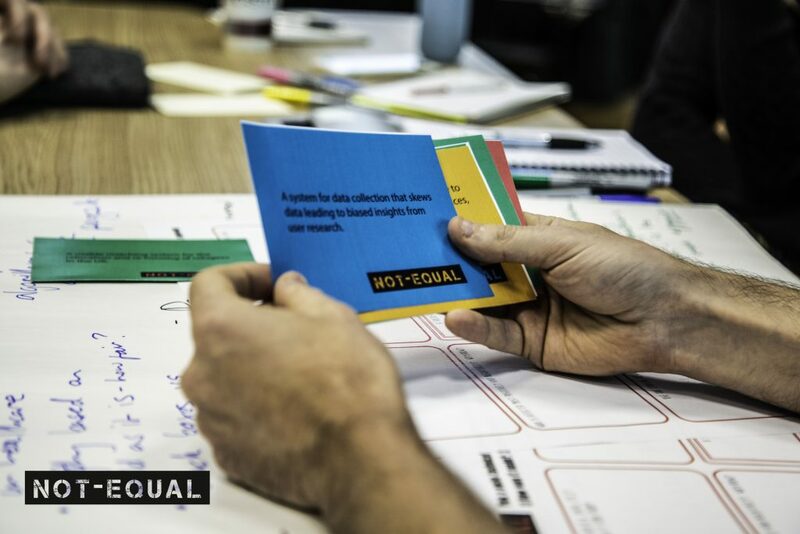 This one-day event marks the launch of the Not Equal project, and the first call for collaborative research proposals, part of the Open Commissioning Programme. 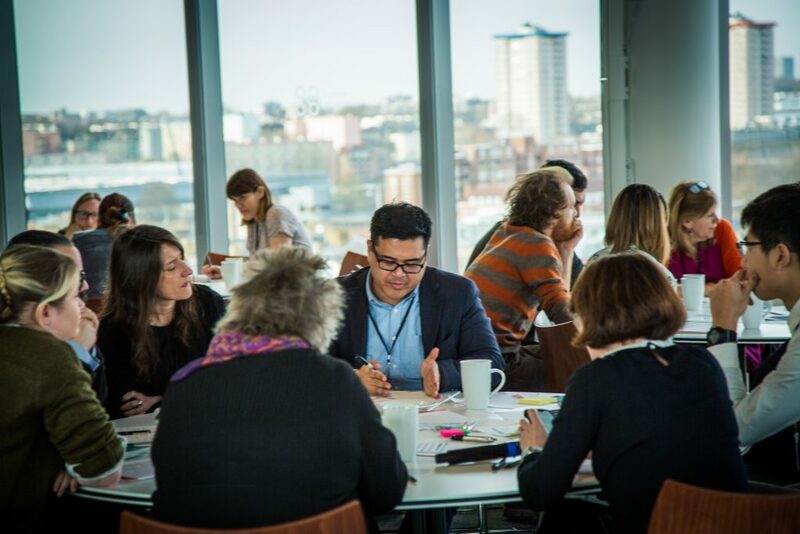 This event is an opportunity Network+ partners to come together and share ideas on possible practical responses to issues flagged up by partners within each challenge area; as well as hear about the funding criteria, process and support available. The event features provocative talks from invited speakers and experts from academia, civic and civil society, who will share their views on the social justice dimensions of emerging technology design and application and the challenges facing us today. The day will also include networking activities organised around thematic areas that form the call for proposal, to explore opportunities and generate ideas for possible collaborative cross-disciplinary responses. 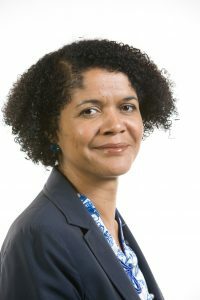 Chi Onwurah is a British Member of Parliament representing Newcastle upon Tyne Central and is also Shadow Minister for Industrial Strategy Science & Innovation. From Sept 2015-October 2016 Chi was Shadow Minister for Culture and the Digital Economy. From Jan 2013 – Sept 2015 Chi was Shadow Cabinet Office Minister leading on cyber security, social entrepreneurship, civil contingency, open government and transparency. From Oct 2010 – Jan 2013 Chi was Shadow Minister for Innovation, Science & Digital Infrastructure working closely with the Science and business community, with industry on Broadband issues, and on the Enterprise and Regulatory Reform Bill. Chi continues to encourage women in STEM. Prior to Chi’s election to Parliament in May 2010 she worked as Head of Telecom’s Technology at the UK regulator Ofcom focussing on the implications for competition and regulation of the services and technologies associated with Next Generation Networks. University where she works within the Centre for Computing and Social Responsibility (CCSR). She has a PhD in Information Communication Technologies (ICTs) for Development and Gender. She has worked and continues to work on a wide range of research projects where she has taken on roles such as Principal Investigator, Lead Evaluator as well as being part of the coordination team of projects. Her work has been diverse, ranging from research in Emerging Technologies and Ethics, Civil Society Organisations research, conducting stakeholder evaluation as well as looking into Responsible Research and Innovation (RRI). Her main interest is in understanding the social and ethical aspects of information and communication technologies for development. In addition, she is also interested in the impact of ICTs on gender. Dr Wakunuma is also a Programme Leader for MSc Computing. 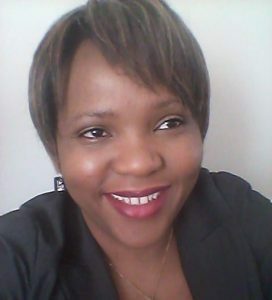 She also teaches on Masters and undergraduate courses which include modules on ICT for Development, Responsible Research and Innovation in ICT, Computing Ethics as well as Research, Ethics and Professionalism in computing. 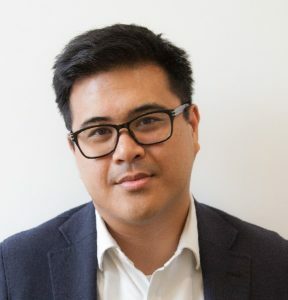 Froi Legaspi is a Community Organiser for Citizens UK, working with over 20 civil society organisations, including schools, faith and community groups in Hackney, East London, to develop and win social justice campaigns. First joining Citizens UK in 2014, Froi has worked on successful campaigns in London for the living wage, affordable housing and improved mental health services. Previously, Froi has worked as Director of Community Development in the tech sector. Froi holds a BSc degree from University College London and a PGCert in Community Organising from Queen Mary University of London. 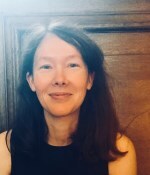 Prof Rachel Franklin is a Professor of Geographical Analysis in the Centre for Urban and Regional Development Studies (CURDS) and the School of Geography, Politics and Sociology at Newcastle University. Rachel is also one of four chairs appointed to expand our international, cross-disciplinary reputation in Spatial Analytics and Modeling (SAM@Newcastle) and, as of Fall 2018, a Fellow of the Alan Turing Institute. Rachel’s primary research focus is in spatial demography and the interplay between spatial analytics and demographic change, in particular quantifying patterns, sources and impacts of spatial inequality. Current projects, for example, study the role of spatial scale and context in understanding the manifestation and impacts of depopulation across neighborhoods, cities, and regions in the United States. Rachel maintains an ongoing interest in pedagogy, especially the teaching of methods. Rachel has taught spatial analysis, GIS, and quantitative methods for well over a decade, with a pedagogic orientation towards policy applications and the social sciences and humanities. Rachel is the co-author of a recent textbook aimed at teaching GIS for the social sciences. Dr Jamie Woodcock is a researcher at the Oxford Internet Institute, University of Oxford. He is the author of Working The Phones, a study of a call centre in the UK inspired by the workers’ inquiry. His current research involves developing co-research projects with workers in the so-called gig economy. He is on the editorial board of Notes from Below and Historical Materialism. 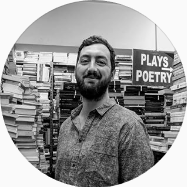 His current research focuses on digital labour, the sociology of work, the gig economy, resistance, and videogames. Jamie completed his PhD in sociology at Goldsmiths, University of London and has held positions at Goldsmiths, University of Leeds, University of Manchester, Queen Mary, NYU London, Cass Business School, and the LSE.